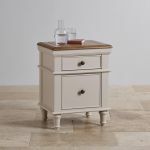 The Shay bedside table is a beautiful addition to any bedroom. 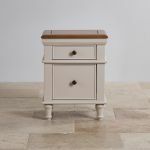 Boasting simple elegance in form and design, as well as high quality construction, this painted hardwood piece will look fantastic for years to come. 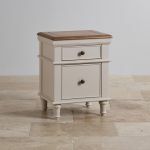 It provides you with excellent storage thanks to two deep drawers. 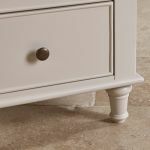 These are finished with real dovetail joints for strength and durability, and solid hardwood bases, backs and runners. 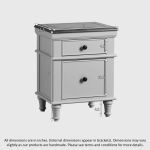 They feature beautiful dark metal drawer pulls, which perfectly complements the smooth painted finish on the base. 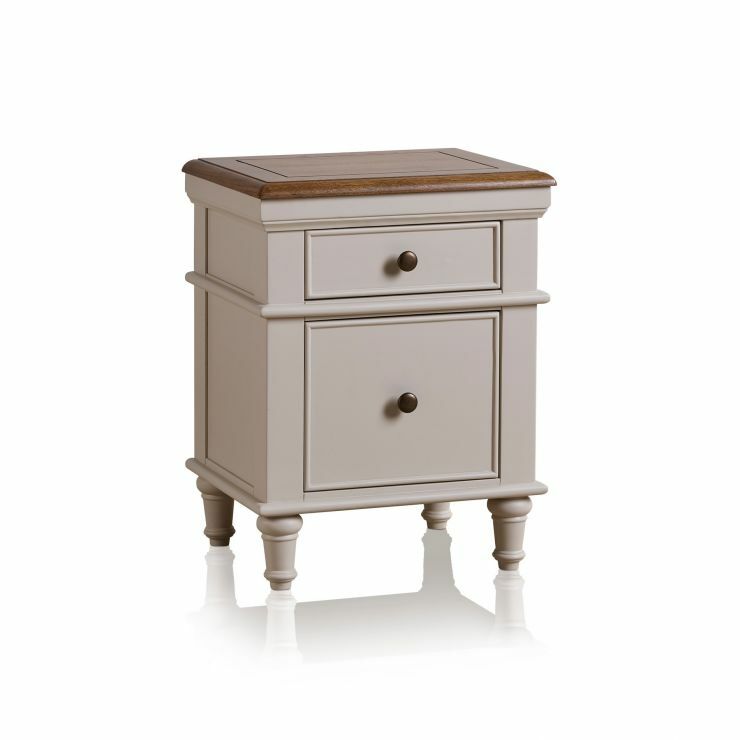 The top is made from rustic solid oak, which matches the almond grey shade of the paint. 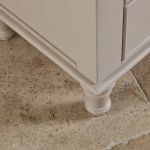 The design is completed with delicate cornices and turned feet for a gorgeous look in any bedroom. 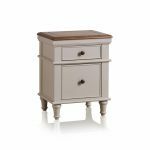 Browse all our Shay bedroom furniture today!